France’s globetrotting techno DJ/producer Julian Jeweil set to release debut artist album Transmission via Adam Beyer’s illustrious Drumcode Records on 7 January 2019. Over the past decade, Julian Jeweil has risen to become one of one of electronic music’s most respected artists and synonymous with cutting-edge melodic techno. Throughout his career, the Marseille-based artist has garnered numerous accolades and achievements including releasing on esteemed imprints such as Cocoon, M-nus and Plus 8, being Beatport’s #1 top selling techno artist (2015), remixing the likes of Moby, Deadmau5, Dubfire & Oliver Huntemann and Pan-Pot and performing at some of the world’s best clubs/events such as Fabric (UK), Womb (JP), D-Edge (BR), Drumcode OFF Week 2018 (ES), Drumcode Festival (NL), BPM Festival (PT) and Resistance (MX). 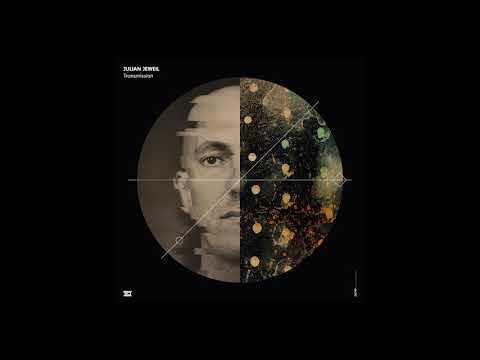 With the accumulation of all of this success and experience, the time has now come for the talented Frenchman to continue his burgeoning relationship with Drumcode by following on from his well-received debut ‘Rolling’ EP (2017) and ‘Space’ EP (2017) with his much-awaited debut long-player, Transmission – comprising of 11 stellar tracks inspired by Jeweil’s ambition to produce an album for the dancefloor that would fully represent him without setting any limitations or boundaries. The alluring space-themed LP commences with the exquisite synth-laden beatless composition ‘Intro’ which is closely followed by one of the album’s darker standout moments, the stomping peak-time title track ‘Transmission’. Elsewhere, there’s further dancefloor weaponry such as the pulsating synth-driven roller ‘Mars’, the edgy groove-based ‘Hyoid’ and the trippy acid-tinged ‘Turbulence’. Other highlights include, ‘Planet X’ which showcases Jeweil’s mastery of atmosphere, serving as an ambient downbeat interlude when placed between the pounding Berghain-esque workouts such as ‘Internal’ and ‘Futura’. The album continues into its final triptych with ‘Astral’ and ‘Dorsal, 2 powerful bass heavy masterpieces, concluding with the aptly named emotional soundscape ‘Final’ to round off a superb debut long-player that’s well worth the wait.